It was Nacho Night at our house tonight. I love Nacho Night. Not because of the nachos, but because of the guacamole. I LOVE guacamole. And it’s so simple to make. Take an avocado, and if you have a cutting board that your dad made for your mom as a wedding gift 70 years ago, definitely use it! 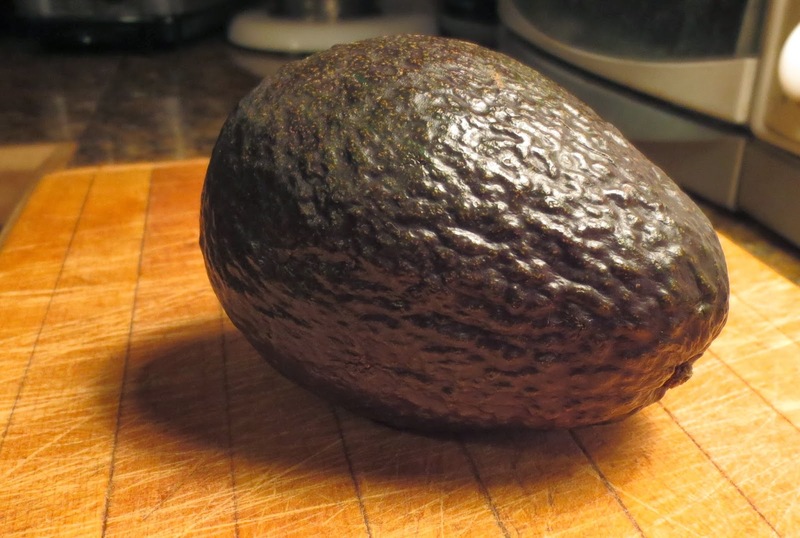 Peel the avocado, remove the seed & chunk it (the avocado, not the seed) into a bowl. A smallish bowl with a nice flat, wide bottom works best. My smallish, flat, wide bottomed bowl was no where to be found so I used a Tupperware bowl. Add a little lime juice. I usually use a whole lime’s worth but I like my guacamole to be a bit on the limey side. Add a little salt & just slightly more garlic powder than you’d think you’d need. I usually use a little less than 1/4 tsp. of salt & about a rounded 1/2 tsp. of garlic powder, but add yours to taste. Then just smash it up until it’s the chunky/smooth texture you prefer. I have no idea what the tool is called that I use, but it works great. A potato masher works well too, as does a simple fork if the avocado is ripe & soft enough. Eat a spoonful to make sure it tastes right. Then eat another spoonful just to make extra sure. Then spoon it onto your nachos. Yum!